It seems Aussie rugby chief' John O'Neill just can't prevent himself from talking out of his arse, scaremongering threats gushing forth in a tourettes-like fashion whenever he doesn't get his own way. Fresh from having recently issued dire warnings about the potential extinction of one of the rugby codes in Australia, O'Neill is now said to be "furious" at the continued resistance by by England, Ireland and Wales to some of his cherished ELVs and has threatened that rugby faces splitting in two. “The last two weekends we’ve seen the Springboks play the All Blacks in two wonderful Test matches and we’ve seen Australia versus France and Australia versus Ireland and the All Blacks versus England under the old laws. You don’t have to be Einstein to figure out which game is a far more impressive spectacle." Of course you also don't have to be Einstein to figure out that it might have been the 2 teams involved, rather than the laws, that made the difference. Or does he think we are all fools? "The blazer gang shouldn't be involved in determining the laws of the game, they should be determined by the people who are absolute practitioners and live and die on the technical side of rugby." OK, John, if that's the case then why not shut the **** up and leave it to those who know what they're talking about? Funnily enough, in England it's the Premiership's various head coaches who are amongst the most vociferous opponents to many of the ELVs. Or don't they count? “If we want rugby to continue to grow as a true international game second only to football, we’ve got to move away from this southern hemisphere-northern hemisphere battle lines, ” he says. “What would a World Cup be if Australia, New Zealand and South Africa didn’t play in it?" What? Is he honestly suggesting that they'd boycott a World Cup? Chillax and wipe the spittal off the screen TF! You know what they say, you can't stop progess. 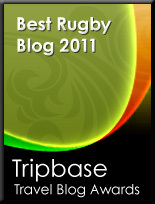 I thought the IRB had mandated the use of the ELVs for the 2008/9 Northen Hemisphere season? In which case won't the 5N and (I supose) the Eurpoean Cup be played under ELVs while the GP and Celtic will now be played under the "old" laws? No wonder O'Neil is pi*&ed - I imagine he thought that the IRB was running rugby in the interests of a global game... now seems the home nations are intent on breaking from the fold? Is is any wonder Aust/NZ/SthAfr supporters see the old farts running rugby in the home nations as backward and un-imaginative - the very qualities that will hold the game back in what is a competitive global environment. The IRB would know that they won't have a hope in hell of raising $250m in upfront fees if they serve up the same rugby dross that was dished up at RWC2007. - allowing the collapsing of mauls which just about everyone agrees is a stupid and dangerous idea (and which the RFU are sensibly refusing to apply to any rugby under the age of 19). What JO'N objects to is the fact that the NH have not agreed to trial the "free kicks instead of penalties" provisions (other than in one yet to be specified competition) which many of uf see as a charter for cheating and which allows referees to cop out by awarding a free kick at nearly every breakdown, breaking up the rhythm of the game and effectively creating a Sevens/League hybrid. Whether or not it can be proved that any of these changes improve the game, the likes of of O'Neill will still try to railroad them through because to do otherwise would just be a huge loss of face. And as he isn't getting his way he resorts to scaremongering and threats - it really is too pathetic for words. And to lay the blame at the door of the English/Welsh Unions is entirely misguided (unlike your other examples which were not entirely unfair). Fact is that much of NH rugby is united in its concerns - coaches, players, referees, volunteers etc. We're not against all of the changes but what concerns most of us is that there seems to be a concerted attempt to force through changes that we see as harmful and unnecessary without consensus. PS - I'd also take issue with your assertion that RWC07 was "dross" and can only assume that you are an Aussie or a Kiwi? PPS - when did you play at Ealing? (I was there 1988-90). Yes, an Aussie but with 50% kiwi heritage - although I would have been disappointed with the 2007 kickfest regardless of nationality! Maybe we should listen to the professional players who have actually played under the ELVs? "...the results of a survey released on Wednesday by the players' associations in Australia, New Zealand and South Africa have overwhelmingly endorsed the Super 14 experience. Almost 90 per cent of the 260 players who responded said the laws were easy to understand and result in more continuity, while 83 per cent said the ELVs had been a positive for rugby. And the most contentious innovation - the replacement of most penalties with a short-arm free-kick - was also resoundingly endorsed by the players, with 85 per cent liking the move." interestingly enough, Freddie Michalak, the Frenchie who played with the Sharks during the Super 14 season also was supportive of the ELV's-granted that is just one Northern Hemisphere player. be trialed in the Northern Hemisphere commencing with games played from 1st August 2008.
reduction in player numbers that was effected in 1877. The RFU believe this significant change will allow the game to become more inclusive and tighten up the game for the forwards, eliminating much of the unnecessary open play that has become a blight on the game. element of the game will allow skilled place kickers to score during open play without the need for the awarding of a penalty. This will result in more kicks at goal and further reduce the incentive to run the ball. The RFU are also excited to announce the reintroduction of the leather spherical ball with an inner-tube made of a pig's bladder which had been incorrectly abandoned in 1862 following the introduction of Richard Lindon's rubber inner-tubes. The "new" balls will require a greater level of skill in order to convert kicks at goal into points - in particular in wet weather with the "new" balls weighing 30kgs when wet. Other exciting ELV changes include, no lifting in the line out and kicking out on the full allowed from anywhere on the field. try, 2 points for a conversion, 3 points for a drop goal and 4 points for the reintroduced Goal from mark. It is expected that this will be the most contentious rule change with some RFU delegates looking to a return to pre 1889 rules where no points were awarded for tries. You gotta visit at my blog and spray a few words when you get a chance! (Although, to be honest, I wouldn't mind reverting to the no lifting in the lineout law - my Vets team might actually win some lineout ball!). Would you mind if I posted this on the main part of the blog? My team also wanted the lifting rule scrapped... they all complained they were suffering crook backs trying to lift a 120kgs immobile 2nd rower (moi!). Matty... I'll be right over!